Feed your fire and restore the mind, body and soul with perfectly balanced, nourishing dishes, mindfully prepared with a rainbow of natural ingredients and delicious flavours. Ready to reconnect? Ayurveda is a wellness system that can help you maintain and improve your health by creating balance and harmony within. Our menus are inspired by 5,000 years of knowledge and encompass an abundance of nature’s ingredients, served in their most beneficial (and delicious) form. Expect to feel calm, balanced and brilliant; whether you are new to ayurveda, seeking ways to feel stronger and healthier or simply need to refuel. 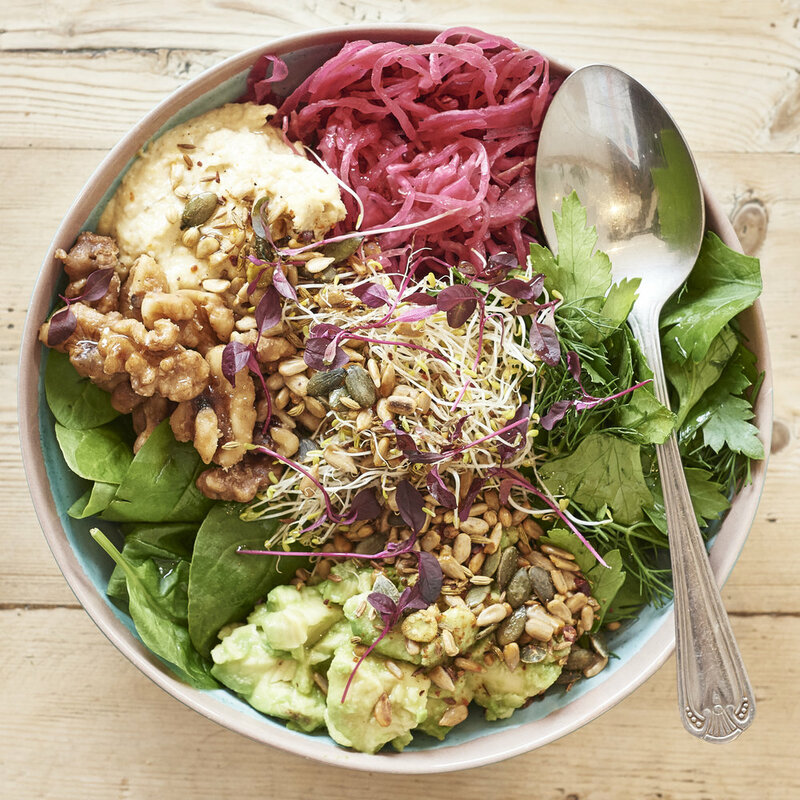 Whether you're picking up breakfast after morning sun salutations next door at TriYoga, looking for a quick lunchtime fix, or catching up with friends over coffees, smoothies and cakes; you'll find a myriad of tempting treats - including plenty of vegetarian, vegan, gluten and dairy free treats. We're as passionate about the planet as we are good food and with that in mind, we source locally, sustainably and organically where possible. All our packaging in biodegradable (including those pesky straws) so get your goodies to go - guilt free.